“To all our friends, fans, supporters and consumers of Charles Daly and by extension, KBI products, I regret to inform you that the rumors of our demise are true. KBI is going out of business and closing its doors, effective today, January 29, 2010.” Kassner blamed the business closure on a “multitude of events over the past five years”. The Charles Daly Defense Unit produced US-made AR15 platform rifles for LEO and civilian buyers. Otherwise, most of KBI/Charles Daly’s product line were imported pistols, rifles, and shotguns. The company imported Armscor pistols from the Philippines, Jericho pistols from Israel, and both side-by-side and self-loading shotguns from Turkey. What if you have a KBI or Charles Daly product — can you still get replacement parts and warranty repairs? The Charles Daly website states: “we are currently negotiating with several companies that will be performing after-sale service of Charles Daly, CD Defense and Jericho firearms. As soon as we have finalized a contract with one of these companies we will post the name, address and contact details of that company on www.CharlesDalyForum.com, so you will know who to contact to obtain service on your KBI firearm”. 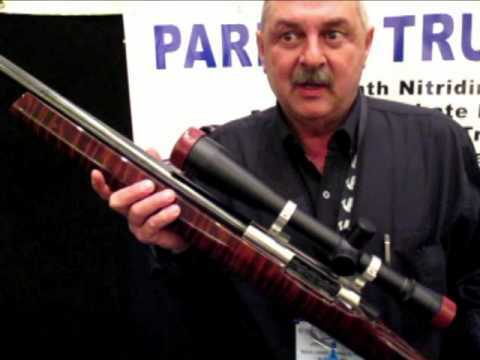 Share the post "SHOT Show Report: KBI/Charles Daly Shuts Down Operations"
If you couldn’t attend SHOT Show 2010, don’t despair. You can now download complete digital editions of the official SHOT Show Daily Magazines provided to SHOT Show attendees and exhibitors. Each of the four (4) issues contains a major product review, and many interesting shorter features. The Day 1 Daily features new Rifles for 2010, while the Day 2 Daily features new Optics and Ammo. New Knives are featured in the Day 3 Daily. In the Day 4 Report, there is a good summary of new Airgun offerings. Even if you’re not interested in the latest retail trends it’s worth downloading all four issues, because there are a number of features relating to club operations and range management. In addition, you’ll find many shorter items of interest to rifle shooters. As well there are handy directories of manufacturers and distributors. Share the post "SHOT Show Report: Download FREE Shot Daily Magazines"